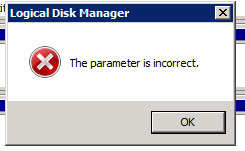 Extending disk volume fails - The parameter is incorrect. 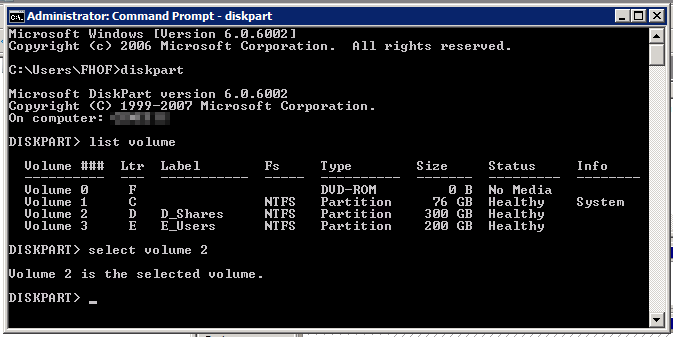 So today I was extending a volume of a virtual machine. It was close to filling up. 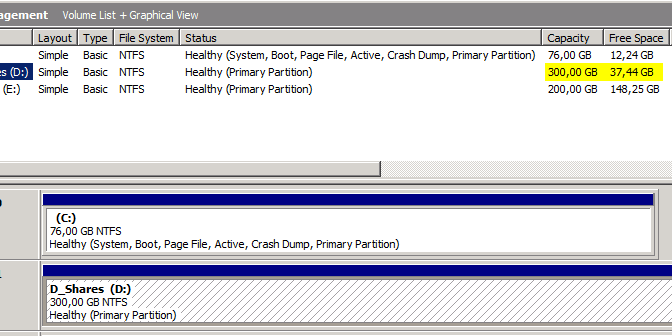 As this is a VMware VM, I began with extend the VMDK with 30GB. 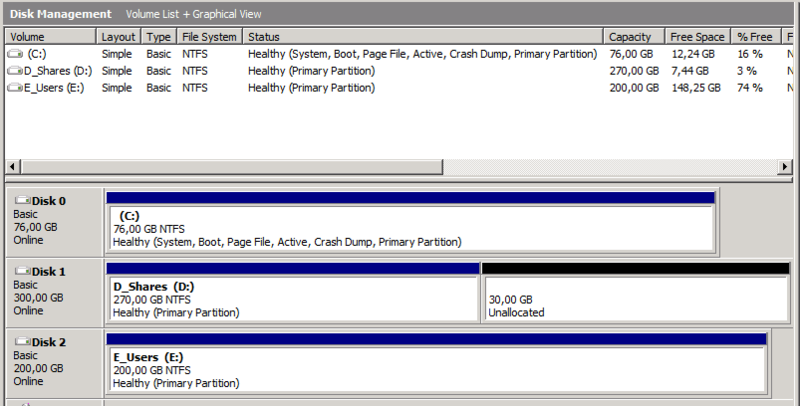 After a refresh you can see the 30GB as unallocated space. I decided to use the wizard to extend the volume. After completing the wizard an wild error appeared!! After a bit of googling it appeared that after the wizard had finished, the volume had been expanded… But the NTFS file system hadn’t. Luckily it can be fixed with the help of diskpart. Now lookup the ID of the corresponding volume which you want to extend. In this example the ID is 2. Now we need to select this volume if we want to continue. We do this with the following command: select volume <id>. In this case the command would be: select volume 2. And HOORAY!! We have our space back!! You can exit the diskpart application by entering the exit command.